The full facts! Why do cats purr and then bite you? Our cats are part of our family. As members of the family, we must take good care of their health at all times. Take a look at these home remedies for eye infection in cats to keep your pet's eyes in top condition. Cats are known as excellent groomers, and they regularly groom themselves to make sure that they're clean. However, despite their pure nature, they are still prone to several types of infections. 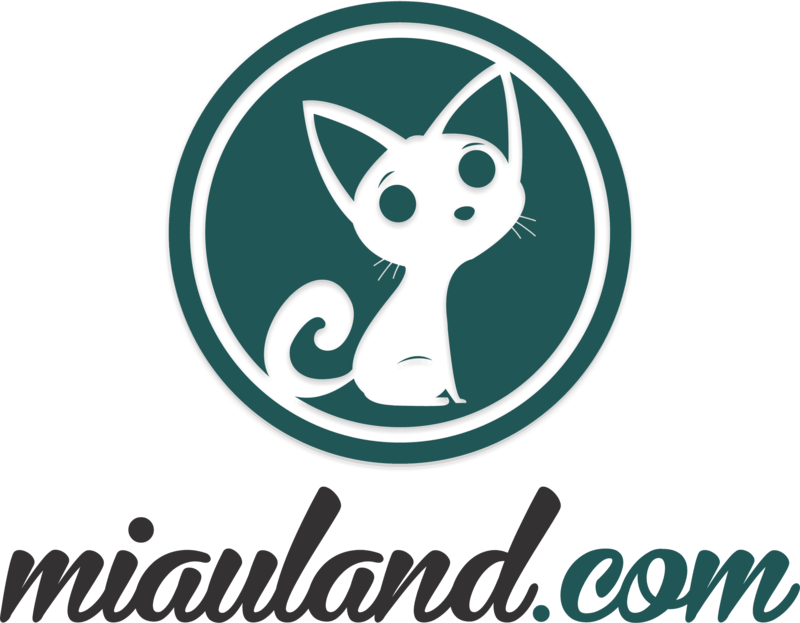 Eye infections are common in cats. Runny, watery eyes are only one of the early signs of eye infection in felines. Moreover, most of the time, this condition is not usually given immediate attention because it looks like nothing more than eye irritation. Although eye infection is not necessarily lethal, the infection can get worse and affect the internal parts of the eye. This condition is caused by harmful organisms such as bacteria, fungi, virus, protozoa, and parasites that mainly target the eyes. Infection affects the eyeball and surrounding area of the eye. Since infection is caused by microorganisms that can reproduce rapidly, it can spread and change internal parts of the eye. Severe infection of the eye can lead to impaired vision and worse, blindness. If left untreated, it can lead to a corneal ulcer that is life-threatening. So, if you notice your pet's eyes tearing excessively, don't just dismiss it as a mild irritation. Moreover, if you have multiple pets in your household, it's important to treat eye infection as soon as possible. Like any other types of infections, the eye infection is contagious and can be easily transferred from one kitty to another. Therefore, diagnosis is an essential step to recognize the problem right before it gets worse. However, taking notice of the signs can be a bit tricky when our furry friends are involved. Felines tend to handle things on their own. When they experience pain, they tend to hide it from us. So, if you find your kitty suddenly hiding from your notice, it’s highly likely that it is under distress. This is where keen observation comes into play. Every ailment has its associated signs and symptoms that will help you recognize the problem. The eyes appear to swell due to fluid buildup which then results to the enlargement of the blood vessels. Eyes may become watery that make them look like they're weeping. As the infection progresses, discharges become more frequent, and the fluid grows so thick like pus. Clear watery discharge is an indication of an infection caused by allergies or irritants. However, a yellowish or greenish discharge is a sign of a bacterial or fungal infection. Even if the discharges are clear fluid, it’s wise to monitor your kitty and entertain the possibility of an infection. Mild allergic reactions to irritant should not persist for so long. However, if the discharges persist and suddenly thickens, you may consider it as an eye infection. Conjunctivitis - otherwise known as ‘pink eye,' this happens when the conjunctiva is inflamed. Conjunctiva is the membrane that lines the inside of the eyelids and covers the front of the eye. Keratitis - infected eyelids can also affect the cornea, the transparent part of the eye that protects the iris and pupil. Uveitis - infection reaches the uvea or the pigmented layer of the eye that contains the iris, choroid, and ciliary body. Stye - a red bump appears near the edge of the lid as infection reaches the eyelid’s sebaceous gland. Eye infection can be both painful and irritable for your kitty. Rushing your pet to the vet is probably the most appropriate way to treat this condition. However, don't you know that you can ease the irritating symptoms with these simple home remedies for eye infection in cats? 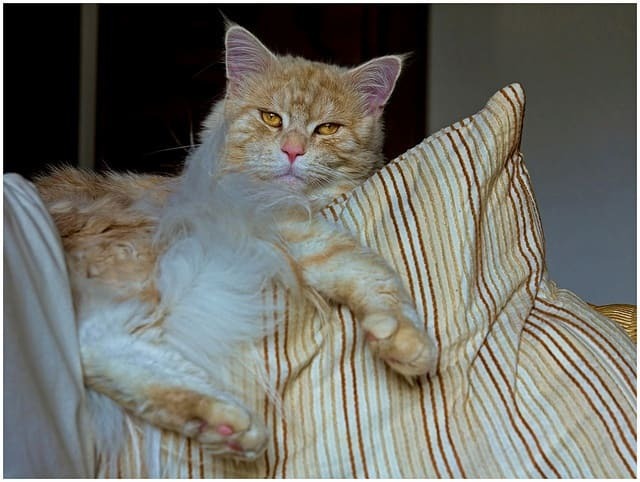 Here are four simple and effective home remedies for eye infection in cats. Take note that all of these home treatments are in the form of eye drops. Choose the appropriate home treatment for cat eye infection depending on the severity of the infection. Some of the home remedies for eye infection in cats are stronger than the others to treat a more severe infection. Conjunctivitis, for example, is a minor eye infection that requires more gentle formulation. Applying formulations that are too strong may aggravate minor infection instead of treating it. However, regardless of the severity, always make sure to clean the infected eye(s) before using any of these home remedies. For the cleaning solution, mix ½ teaspoon of salt and ½ cup warm water to create a saline mixture. Mix the solution well until the salt is completely dissolved. Dip a cotton ball into the saline solution and gently use it to wipe the infected area. Then apply the home treatment for cat eye infection that you’ve prepared beforehand. Use this home treatment for cat eye infection with the use of tea to treat less severe infections. All of these teas contain potent antioxidants called flavonoids and tannins that provide the fast-acting anti-inflammatory effect. Plus, teas also have anti-bacterial properties that can help get rid of harmful bacteria from the eyes. And not to forget, their calming and soothing effect to help ease the irritating symptoms of eye infection. Steep two bags of preferred tea in warm water and let them sit there for 3 minutes. Then squeeze out the excess liquid from the container. Don't throw the tea bags just yet because you can still use them later. Allow the tea liquid to cool down until it is lukewarm. Alternatively, you can place it in the refrigerator for 10 minutes to help it cool down faster. Using an eye-dropper, dispense 2 to 3 drops of the tea into the infected eye. Then you can place the used tea bags on each eye and let them sit for 10 minutes. However, if your kitty feels uncomfortable with the tea bags on its eyes, don’t force it. Apply this home remedy three times a day. For conjunctivitis and other less severe infections, use organic unpasteurized honey to take advantage of its potent anti-microbial properties. Honey works well against a broad spectrum of bacteria and fungi can significantly reduce the number of harmful microbes. Organic apple cider vinegar and freshly squeezed lemon juice can be used for natural home remedies for eye infection in cats. However, these organic home treatments should NOT be used on minor eye infections. Both apple cider vinegar and lemon juice contain acid that can effectively kill bacteria, fungi, protozoa, and viruses on contact. However, their acid content can also irritate the eyes further if not properly administered. We recommend that you only use apple cider vinegar or lemon juice for severe infections such as keratitis and uveitis. 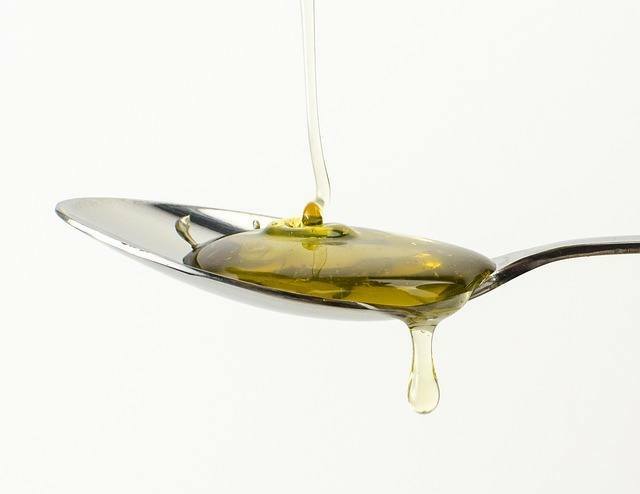 For the honey eye drop solution, mix two tablespoons of organic honey in 2 tablespoons of distilled water. Stir thoroughly and dispense 2 to 3 drops of the solution into the affected area using an eye-dropper. Administer this eye drop solution three times a day until the infection clears. To make stronger home remedies for eye infection in cats, you can use either apple cider vinegar or lemon juice. Mix 4 drops of apple cider vinegar and four tablespoons distilled water and stir vigorously. Alternatively, combine four drops of lemon juice with two tablespoons distilled water and stir thoroughly. Use an eye-dropper to dispense 2 to 3 drops of the solution into the affected eyes three times a day until the infection clears. Oregon grape contains berberine, a dominant antibacterial constituent that can effectively treat conjunctivitis and blepharitis. Add four drops of Oregon grape tincture into an ounce of distilled water and stir thoroughly. Use an eye-dropper to apply 2 to 3 drops of the solution into the affected eyes three times a day. Administer this eye drop solution until the infection clears. When used on its own, tea can ease the symptoms of mild eye infections. However, you can strengthen the potency of tea for the treatment of severe infections of the eye. Refer to home remedy #1 regarding the different types of teas that you can use. Mix 5 drops of St. John's Wort liquid extract, one tablespoon aloe vera and ½ teaspoon salt to lukewarm tea. Just like the other home remedies for eye infection in cats, apply 2 to 3 drops of the solution into the infected eyes. Use three times a day until the infection clears. Home remedies for eye infection in cats usually take 3 to 4 days to treat minor infections completely. If symptoms persist after four days, try switching to a stronger treatment and resume administering the solution for the next four days. Along with these home remedies for eye infection in cats, diet also plays a vital role in the treatment of this condition. Give your feline pet essential nutrition to boost the effects of these home treatments while promoting eye health. Foods that are rich in Vitamin A such as carrots, sweet potatoes, squash, chicken, and turkey. Vitamin C supplements from foods such as fresh papaya, broccoli, spinach, and tomatoes. 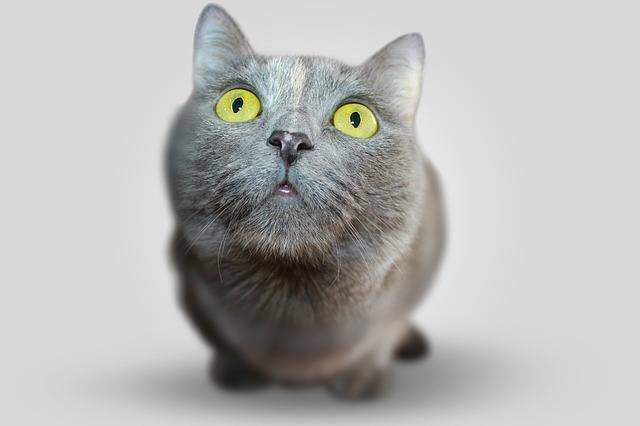 It's important to familiarize yourself with your pet's eyes to have a baseline of your kitty's ocular health. Understanding what is ‘normal’ in your pet helps you identify symptoms of potential health problems. A sudden change from the normal, no matter how minor it is, should be considered as a dangerous sign. If your furball suddenly squints or rubs its eyes more frequently, as usual, there must be something wrong with its eyes. Alternatively, if you notice your pet's eyes are getting more watery than usual, you need to take immediate action. Don’t wait for the condition to get worse. Start with the gentler home remedies for eye infection in cats such as tea eye drops and honey solution. The symptoms should be cleared after four days of continued medication. If symptoms persist or if the condition gets worse, you can switch to stronger formulations. Administer any of the stronger home remedies for eye infection in cats for another four days. However, if your kitty still doesn't recover after four days, you should take your pet to the vet. Frequent visits to the vet can help diagnose signs of imminent or existing health conditions in your feline pet. Cats with allergies or those that have a history of hayfever are more prone to an eye infection. 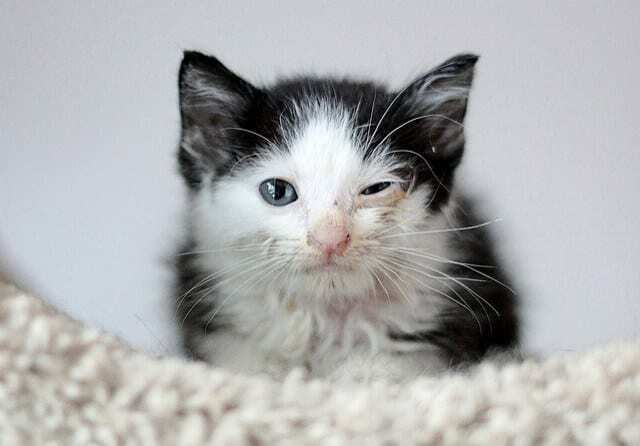 Since eye infection is contagious, outdoor kitties are at higher risk of acquiring bacteria from other affected animals. Early detection of the symptoms is crucial to stop the infection before it can spread further and get worse. Keep in mind all the home remedies for eye infection in cats and use them immediately at the early signs of eye infection. If you act quickly and successfully eliminate the bacteria right before they can reproduce, you may not need to go to the vet anymore. Of course, nutritious diet that contains lots of vitamins A and C can maintain your pet’s optimal ocular health. 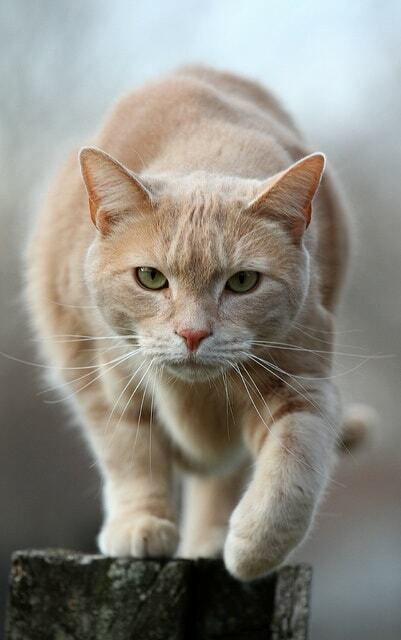 Our cat's health and overall well-being is our responsibility to take good care of. Moreover, this also includes their ocular health. 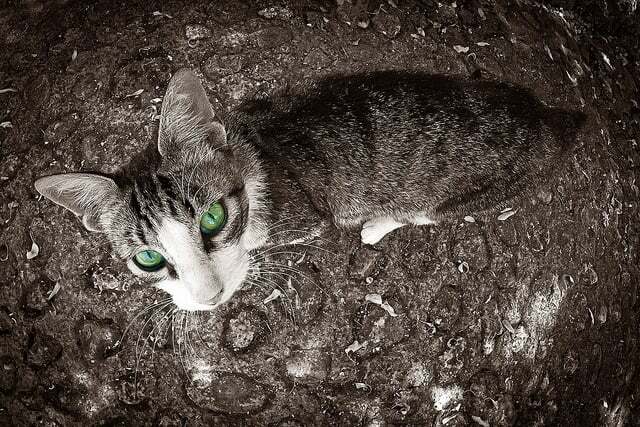 One of the most notable features of felines is their pair of fierce-looking eyes that even glows in the dark. Unfortunately, their stunning eyes are prone to infection caused by bacteria, virus, and fungi that can be acquired anywhere. Proper diagnosis is the first step to make sure that we stop the infection before it can get worse. Home remedies for eye infection in cats can significantly alleviate the symptoms and eliminate the harmful microbes. Making your home treatment for cat eye infection allows you to choose your preferred ingredients best suited for your kitty. Plus, it can help you save much money on veterinary bills. However, these home remedies for eye infection in cats should not be used longer than four days. If it doesn't take effect after the said duration, it's about time you take your pet to the vet. Physical examination and diagnostic tests can yield accurate diagnosis to help the vet come up with appropriate medication.